Wrapped in a national goal to move to 100% renewable by 2050, Denmark is full of ambitious policies, examples of successful renewable energy and transportation projects, and leading companies and technologies. The City of Copenhagen, with firms like Danfoss, Ramboll, and Dong Energy in the backyard, meets nearly 98% of its heating needs through a district energy system that harnesses waste heat by-products. Nurtured by strategic policies and investments, about half of Denmark’s electricity comes from renewables—mainly from wind farms, up from basically nothing just a couple decades ago. This fixation on renewables is also a good export strategy; every fifth wind turbine in the world is assembled on Danish soil. Thanks to district energy, wind farms, and other measures, Denmark has half the per capita GHG emissions of Canada. 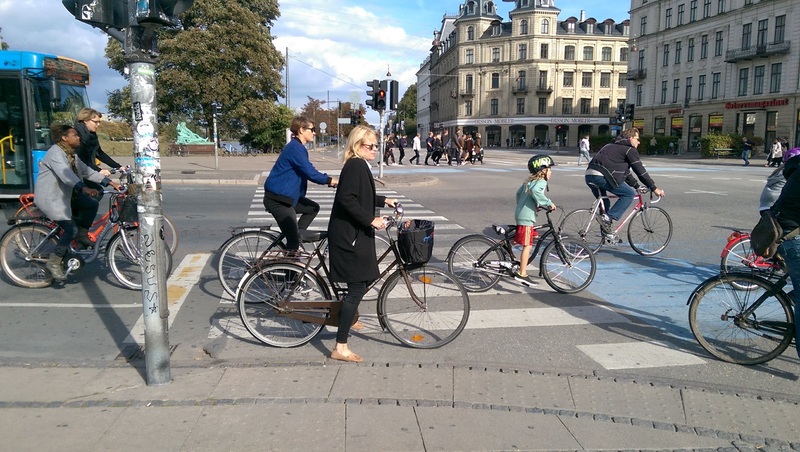 But the Danes’ story isn’t just about climate and energy: According to the Cycling Embassy of Denmark, 56% of Copenhageners bike every single day—over the city’s vast cycling network, comprised of nearly 500 kilometres of bike lanes. So, why am I going to Denmark? 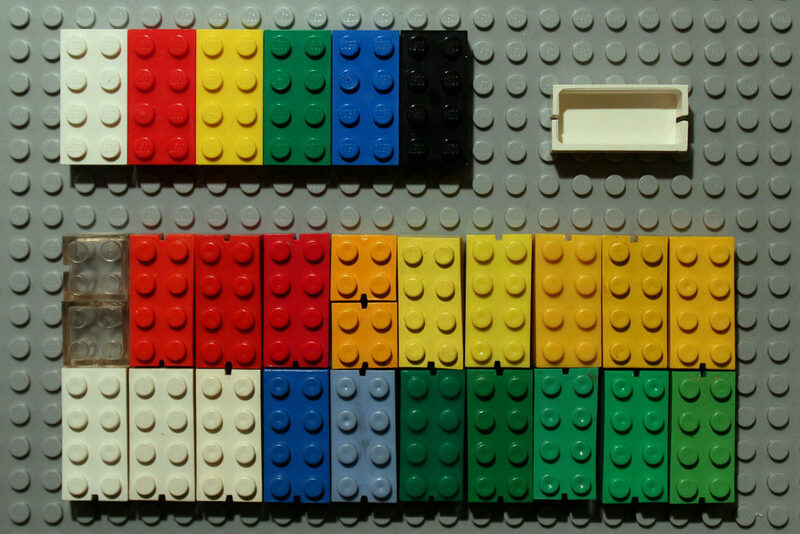 I want to see how all the Lego blocks fit together. The Danes make smart policy and clean technology look normal, appealing, and inclusive. They’re turning an old industrial harbour into a low-carbon neighbourhood, running wind co-operatives, building concentrating solar power, planning 100% REmunicipalities, and using electric bike shares—really interesting projects with either solid track records or promising early returns. That said, there are limitations to the transferability of Denmark’s policies. Cloaked in collaborative political culture with a long history of democratic reform, the Danes buy into the green economy agenda. They also know the perils of relying on energy imports; the island nation’s energy transition was arguably kicked off by the oil price shocks of the 1970s. Smaller in area than the province of Nova Scotia, and just larger than the state of Maryland, Denmark’s 5.7 million people live in relative proximity to each other. Cities are characterized by the European built form—walking, cycling, transit, no freeways. Local governments in Denmark have room to manoeuvre too. Municipalities take in 33 of every 100 krones of tax revenue generated in Denmark—one third of taxes go to cities. In Canada that number is 8.1%. In the US, it’s 11.5%. These factors—the political climate, the desire for energy independence, density and walkability, and empowered cities—have provided fertile ground for major progress on renewable energy and sustainable transport. However, despite these unique conditions, many other countries, regions, and cities are beginning to chart a similar course; Denmark is a proving ground for tomorrow’s technologies, business models, and policies. Myself and the Renewable Cities team are scoping Global Learning Forum 2017(Vancouver, May 2017) and I’m eagerly anticipating a look under Denmark’s hood. I’ll also be present at Copenhagen’s Climate Solutions Conference, ICLEI’s Local Renewables Conference in Freiburg, and COP22 in Marrakesh. Here’s hoping for some great connections and learnings! For updates, keep an eye on my Twitter feed, Renewable Cities, and both my blog and and partner platforms.